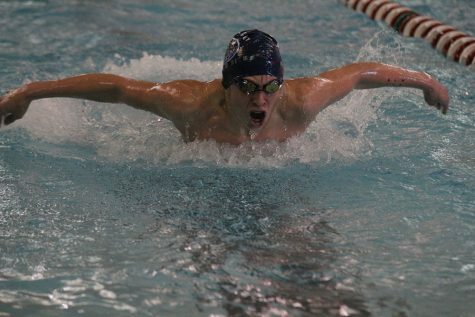 The boys swim team placed second at the Blue Valley West Invitational on Thursday, Jan. 24. 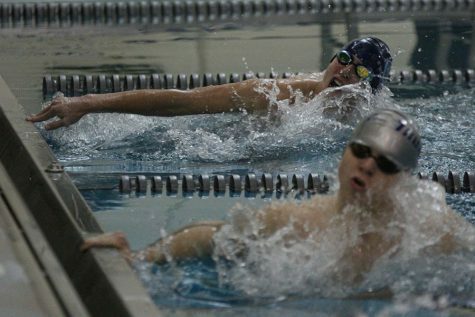 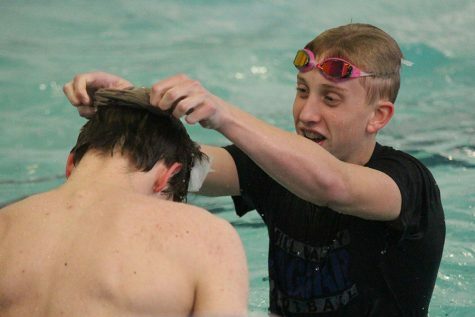 Junior Colby Beggs placed 2nd in the 100 freestyle and sophomore Cole McClure placed fourth in the 500 free. 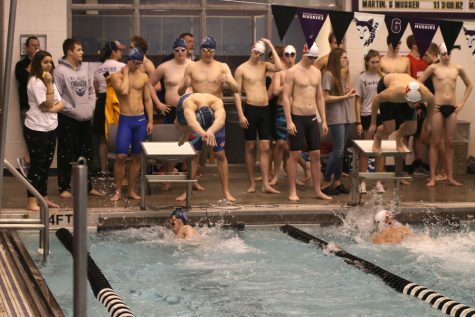 A relay team consisting of junior Logan Myers, sophomore Cole McClure, sophomore Noah Collins and freshman Derek Long placed third in the 200 yard freestyle relay. 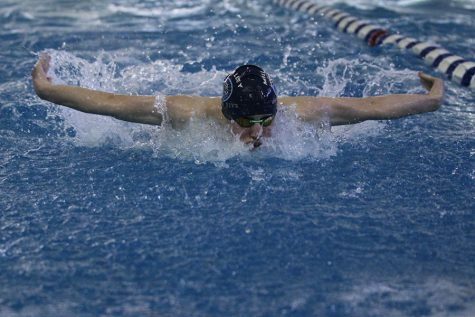 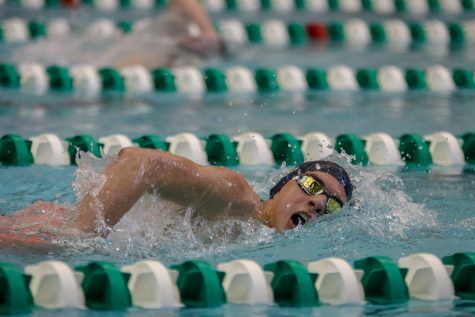 Swimming four events, senior Chris Sprenger placed second in both the 200 freestyle and the 500 freestyle. 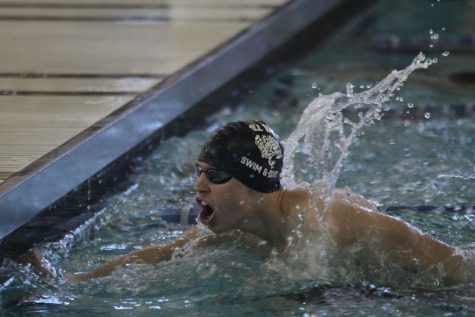 Sprenger believes the team did well despite the issues about scheduling through winter weather leading up to this past meet at BVW. 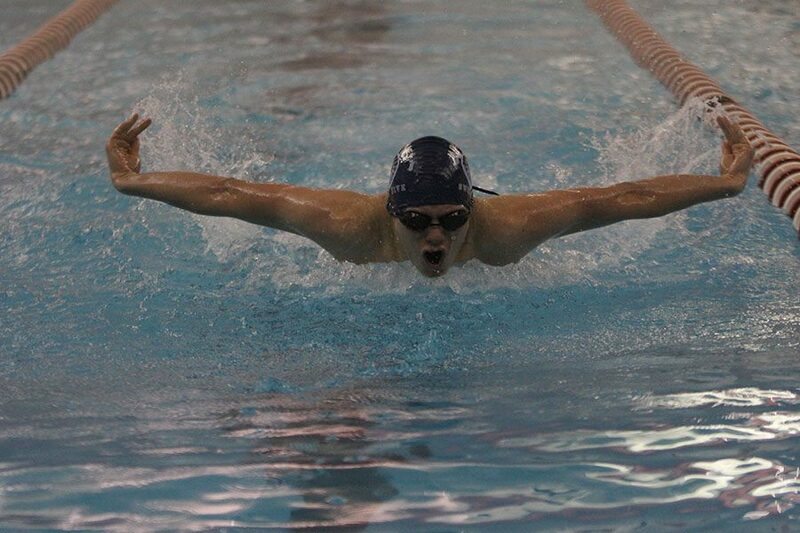 Even with the lack of practices, senior Ethan Forristal placed third in the 200 freestyle and fourth in the 100 fly. 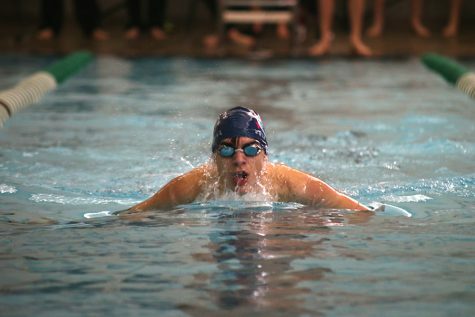 Forristal feels that the team has gradually climbed to the 6A level over the course of the season. 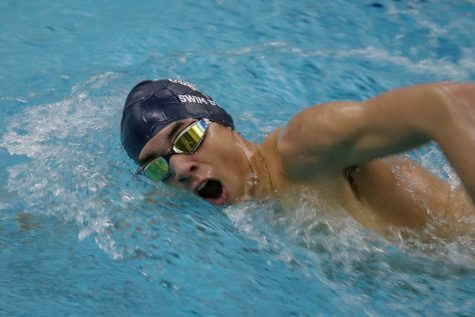 With only two scheduled meets left, Sprenger expects a chance to return to state this year. 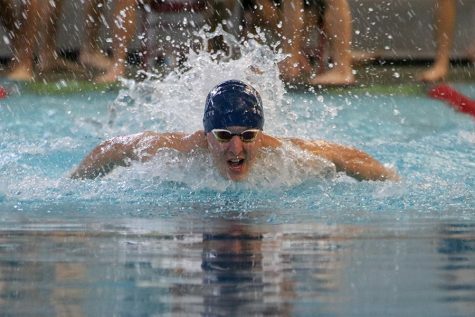 The meet cancelled due to inclement weather on Tuesday, Jan. 22 against Blue Valley Southwest, will now occur on Monday, Jan. 28.